Discover the breath-taking natural beauty that is Thailand’s south-eastern Trat province. Sharing the lush Cardamom Mountains as a border with Cambodia and made up of jungle, beaches and Gulf of Thailand islands, there are so many experiences to enjoy here. Whether you’re looking for an island oasis, want to snorkel and explore vibrant coral gardens, hike through lush and wild vegetation or simply soak up the sun by a resort pool, there’s a place in Trat just for you. The capital of Trat, with the same name, is perfect for history and culture buffs. Complete with Buddhist temples, Chinese-style shrines, market places and more, there’s much to discover here. Trat is known for its fishing, ruby mining and abundance of exotic fruit. It is a lesser known Thai destination, offering a unique native atmosphere and tourists find it hard not to fall instantly in love with the captivating old-world charm. From the houses on stilts in Bang Bao village to the guesthouse neighbourhood set in the wooden shophouse district, there are plenty of examples of authentic Thai living on display. Travel here to witness locals running errands and kids playing in the streets, then get amongst the fun yourself with some haggling at the vibrant indoor market or night market. Here, you’ll find regional produce, traditional clothing, street food vendors and more. 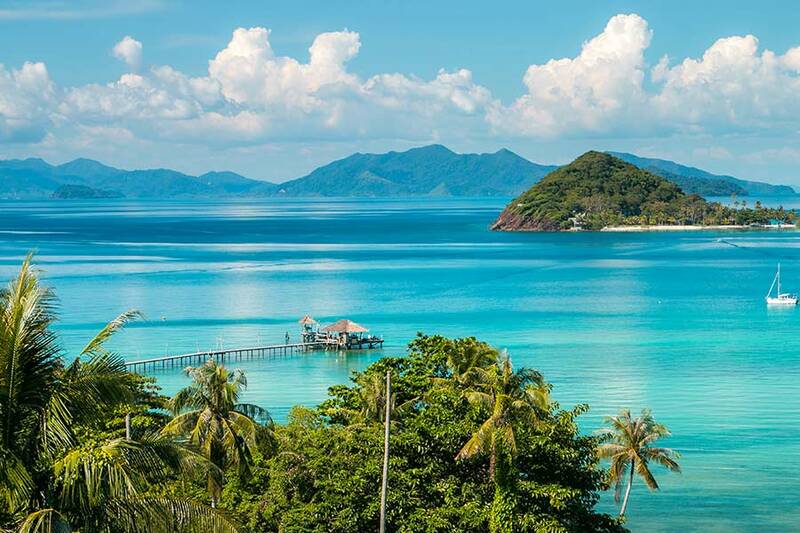 If you’re a water lover, take your holiday off the mainland to one of Trat’s many stunning islands. The largest of these, Ko Chang, is perfect if you need a real nature fix. Surrounded by stunning coral reefs and ideal for snorkelers, this island is the best place to access the Mu Ko Chang National Park (a marine park with an area of 650sq. kilometres!). Other activities on the island include jungle hikes, scuba diving, beach days and lounging in luxury at places like KC Grande Resort & Spa!